LAHORE: An accountability court on Tuesday extended the physical remand of Pakistan Muslim League-Nawaz (PML-N) President and Opposition Leader in the National Assembly (NA) Shehbaz Sharif till November 10. Shehbaz Sharif, who was arrested by the National Accountability Bureau (NAB) on October 5, was presented before the court after his previous seven-day remand ended. During the proceedings, the anti-graft watchdog’s prosecutor Waris Ali Janjua requested the court to extend the remand till November 12. However, the court decided to keep Shehbaz in NAB custody till Nov 10. The ex-chief minister of Punjab said that he has not been told where he had committed corruption. On October 15, NAB had interrogated Shehbaz regarding the CASA Developers and Paragon City scandals prior to his appearance in the court. The ex-chief minister of Punjab (CM) had then said he himself had ordered investigation into the corruption allegations in the Ashiana-e-Iqbal Housing Scheme by telephoning NAB. 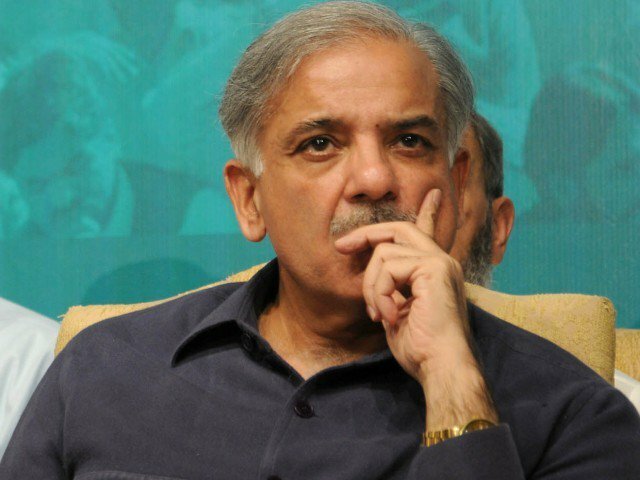 NAB had arrested Muhammad Shehbaz Sharif in the Ashiana-e-Iqbal Housing Scheme scam on October 5. The former chief minister was charged with awarding illegal contracts to his favourite firm. On October 6, an accountability court in Lahore had granted NAB a 10-day physical remand of Shehbaz. The PML-N president’s remand was then extended on October 16 by 14 days. The anti-graft agency said that the contract for the housing scheme was won by a construction company titled Chaudhry Latif and Sons but Sharif cancelled it and later on awarded the contract to Lahore Casa Developers – a proxy group of Paragon City (Pvt) Limited, allegedly owned by ex-railways minister Saad Rafique.